AirUnleashed claims to have achieved what Apple couldn't: a wireless charging pad that can simultaneously power up an iPhone, an Apple Watch and AirPods. 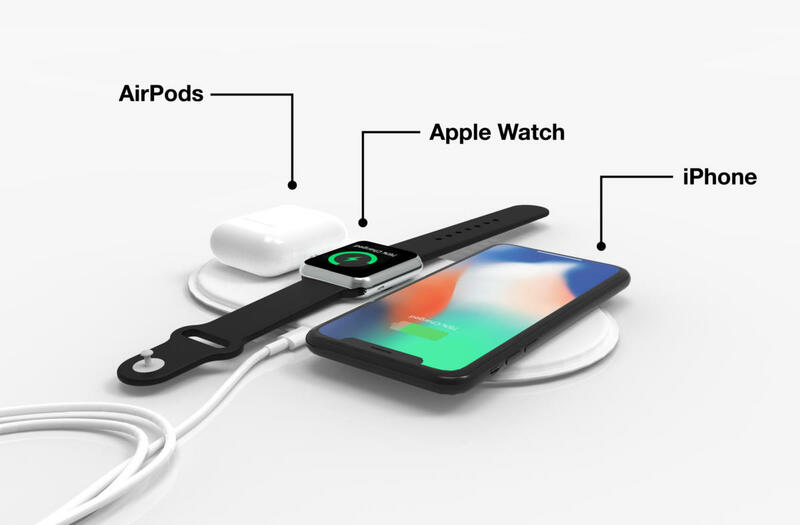 Marketing it as an alternative for all the "disappointed Apple fanboys (and girls)" who will never see Apple's nixed AirPower wireless charger, a startup has begun shipping a wireless charging mat that simultaneously charges three Apple devices: an iPhone, an Apple Watch and AirPods. The new AirUnleashed wireless charging mat takes its aesthetic looks from published images of Apple's cancelled AirPower charging pad, but its internal design is radically more simple. More than a year and a half after announcing its AirPower wireless charging mat, Apple finally threw in the towel and admitted last week that it had failed to create a product that could meet its "high standards." Apple said its AirPower mat would ship in 2018, but more than a year and a half after being announced it was cancelled. Several published reports claimed Apple was confronted by inter-device communication problems, overheating or electromagnetic interference as it attempted to interleave a dozen or more copper charging coils inside the thin AirPower charging mat. Apple would not say whether it planned on pursuing development of another wireless charger in the future. Since Apple announced AirPower, more than a dozen companies have produced wireless chargers that can simultaneously charge at least two Qi-enabled mobile devices, including smartphones and Apple or Android watches. None, however, claim to be able to wirelessly charge Apple's AirPods. 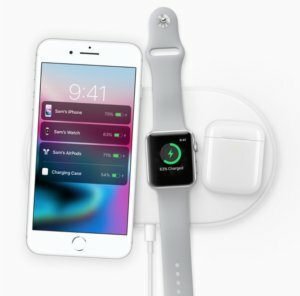 Computerworld reviewed four multi-device wireless chargers that can power up both an iPhone and an Apple Watch, or in one case an Android smartphone and watch. The new AirUnleashed wireless charger uses just three copper charging coils placed side by side; the company claims its design enables the mat to avoid the electronic hurdles that tripped up Apple's AirPower charging pad. "With AirPower, Apple was trying to create a charging mat that would allow you to power multiple devices from anywhere on the mat. Apple's wireless charging patent shows that they were trying to achieve this by using up to 32 overlapping charging coils," AirUnleashed stated in a news release. "This introduced challenges like overheating and electromagnetic interference, which Apple ultimately did not (yet) overcome." Apple's AirPower design as depicted in a patent submission obtained by Patently Apple. Engineers of the AirPower were purportedly attempting to interleave more than a dozen copper coils. The AirUnleashed company co-founders are CTO Hakim Sugito, who, according to his LinkedIn profile, is an industrial design engineer with a master's degree from the Delft University of Technology in the Netherlands, and CEO Gerard Nieuwenhuis, whose LinkedIn profile says he has a bachelor's degree in electrical engineering from Windesheim University of Applied Sciences, also in the Netherlands. Nieuwenhuis also founded Amsterdam-based TRNDlabs, a consumer goods company that makes drones, earphones and other consumer tech. AirUnleashed is being produced by a separate company. AirUnleashed's Sugito said while both he and Nieuwenhuis are Dutch, they decided to legally incorporate their company in Hong Kong under the name Betafresh Hong Kong Limited. The new charging mat has the same clean white design and thinness the Apple AirPower mat appeared to have â€” it's just 12 mm thick. A quarter-sized dimple just off center on the pad indicates the spot to place an Apple Watch for charging. Otherwise, Apple AirPods or an enabled iPhone 8 or X can be placed on either end of the charging pad, according to the company's website. "I'm not all that surprised that the watch has its own 'zone' for charging," said Jack Gold, principal analyst with J. Gold Associates. "The charging coil in the watch is much smaller than in the phone and probably harder to couple with magnetically, requiring a different coil in the charger to make the charge more efficient." The AirUnleashed mat requires a USB charger with an output current of at least 2 amps at 5 volts (10W). A default Apple iPhone adapter has a maximum output of 5W and so is not compatible with the AirUnleashed mat. But any Apple iPad adapter or another third-party charger that has a 2A charging port can be used to power the mat. Requiring a USB charger with at least 10W is just smart product development, as a 5W charger would result in it being underpowered for devices that meet today's Qi wireless charging specification, Gold said. "Most Qi wireless chargers recommend at least a 10W power adapter, although some now support quick chargers which have even more," he said. "Also, the wireless chargers are lossless, so you are losing some power in the magnetic resonance coupling to the device, making the 5W even less effective (maybe by as much as 50%)." Even with a 10W power adapter, Gold questioned how long a single mat like the AirUnleashed would take to fully charge three devices at the same time. "How do they power balance to the phone vs. air buds and the watch?" he asked. "Everyone would have this problem and [it] is probably what gave Apple the most trouble. If it takes [three times] as long to charge my device as by just plugging it into a wall charger via a cable, will I be happy? Probably not." The AirUnleashed retails for $99. Shipping is free.